4600 Palestinians, Including 182 Children, Imprisoned By Israel | It's Only Natural To Resist. Former Political Prisoner, Palestinian Researcher, Abdul-Nasser Farawna, stated that Israel is currently holding captive 4600 Palestinians, including 182 children and 11 women, in addition to 1200 detainees who are ill, including 20 who are continuously held at prison clinic. Farawna said that nearly 83% of the detainees are from the West Bank, 10% from the Gaza Strip and the rest are from Jerusalem and historic Palestine, and added that the detainees are held in 17 prisons, detention camps and interrogation facilities. The researcher further stated that Israel is holding captive 182 Palestinian children, and eleven women, including Lina Al-Jarbouni, from the 1948 territory who has been imprisoned since April 2002. There are 1200 detainees who suffering from different diseases and health conditions, including cancer, and are not receiving the adequate and specialized medical care they require. 20 of them are continuously staying at the Ramla Prison Clinic that lacks specialists, basic equipment and supplies, 18 detainees suffer from cancer, liver failure, or heart conditions, and 85 detainees who suffer from physical or mental conditions. Farawna also stated that there are 530 detainees who have been sentenced to at least one life term, and that 109 detainees have been imprisoned since before the first Oslo agreement was signed in 1993, 70 who have been imprisoned for more than 20 years, 23 detainees have been imprisoned for more than 25 years, and one detainee, Karim Younis, has been imprisoned since 30 years. As for detainees on hunger strike, Farawna said that the longest striking detainee is Ayman Sharawna, who started his ongoing strike 172 days ago and is facing a very dangerous health condition, in addition to Samer Al-Eesawy, who started his strike 142 days ago; both detainees went on strike as they are held without charger of trial and both of them were rearrested by Israel after they were released as part of the prisoner swap deal that secured the release of Israeli corporal, Gilad Shalit, who was held by the resistance in Gaza. It is worth mentioning that there are four more detainees who started their hunger strike a month ago; all striking detainees are demanding an end to their illegitimate administrative detention without charges or trial. Farawna called on international legal and human rights groups to act and save the lives of hunger striking detainees in Israeli prisons, and to ensure the release of all political prisoners held by the Israeli occupation and facing constant harassment, abuse, and illegal treatment in direct violation of International Law. 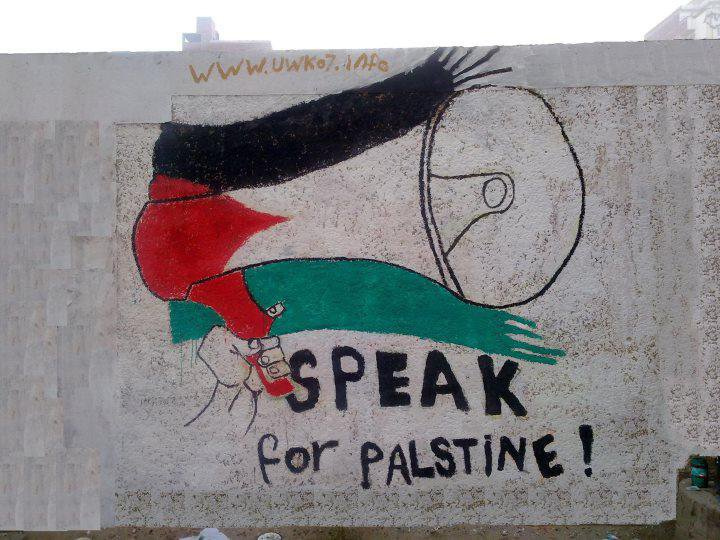 This entry was posted on December 21, 2012 by ispeak4palestine. It was filed under Articles on Palestine and was tagged with Human Rights, Israel, Middle East, Palestine, Politics, Prison, War.